Entitled All Nerve, the Breeders’ first record in a decade will be released on March 2, 2018 via 4AD records. 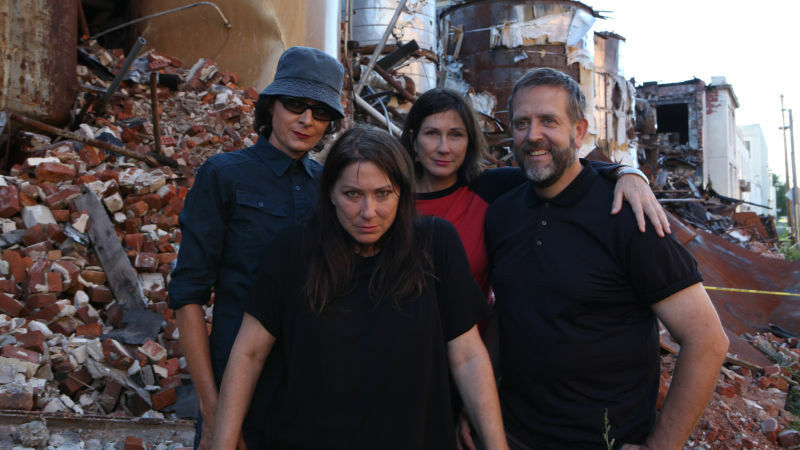 All Nerve reunites band members Kim and Kelley Deal, Josephine Wiggs and Jim Macpherson – the line-up behind 1993’s Last Splash. The quartet returned to the stage in 2013 to celebrate the 20th anniversary of Last Splash and have been working on new material since then. The new record features the recent single “Wait In The Car” along with “Walking With The Killer” which we can only assume is a spin on Kim Deal’s “Walking With A Killer” from her solo series 7″ released in at the very end of 2012. You can see the tracklist for All Nerve and the Breeders upcoming tour dates below.